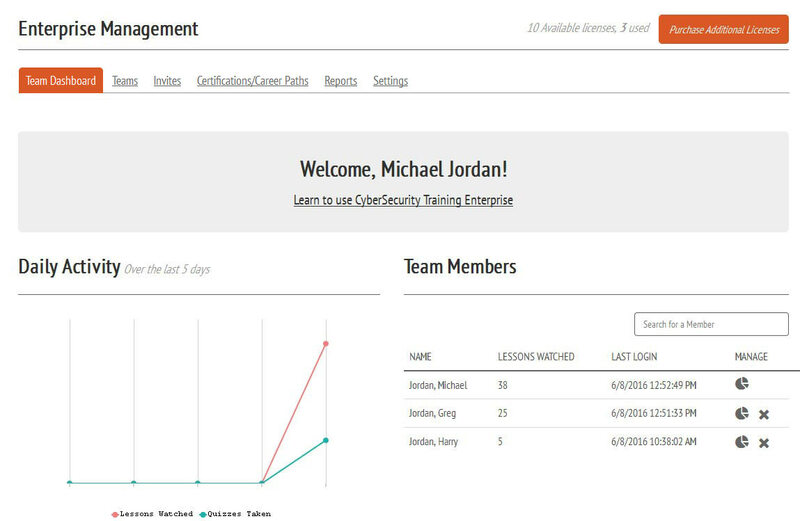 You asked for in, and we have answered: CyberSecurity Training Teams have gotten a whole new revamp, CyberSecurity Training Enterprise! This new dashboard is designed to give you a snapshot of your team and their activities. The Daily Activity graph shows the amount of lessons watched by your team, as well as the number of quizzes taken over the last 5 days. You now also have a list of your users and have the ability to search for a specific user using the Search for a Member field. From here, you can click the Create Team button to had a new team. You can create as many teams as you want, and they will be listed in the left-hand column. By clicking teams in this list, you can view the users within the team, or adjust the team settings. 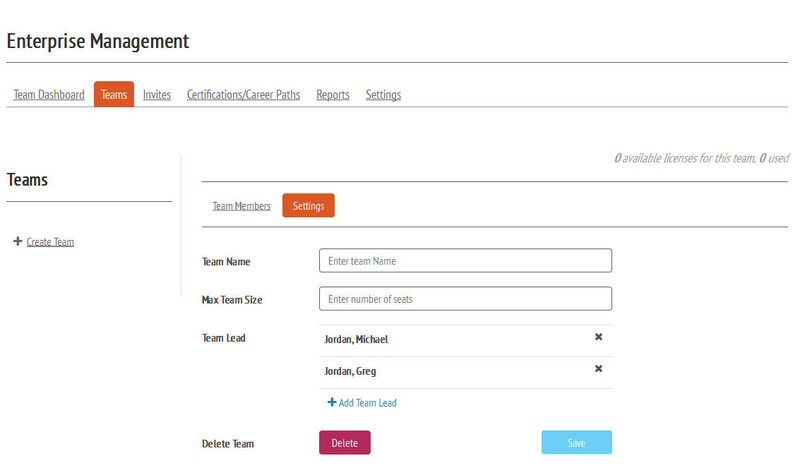 The settings pane allows you to change the team name, set a maximum team size (if desired), add Team Leads, or delete a team. A Team Lead is a role you can assign your users to have the ability to manage just the sub-team, but not the entire account. You can add as many email addresses in the box as you want. They do not need to be separated by commas or colons. If you've already created sub-teams, you can invite the new members directly to the sub-team by using the drop-down menu. 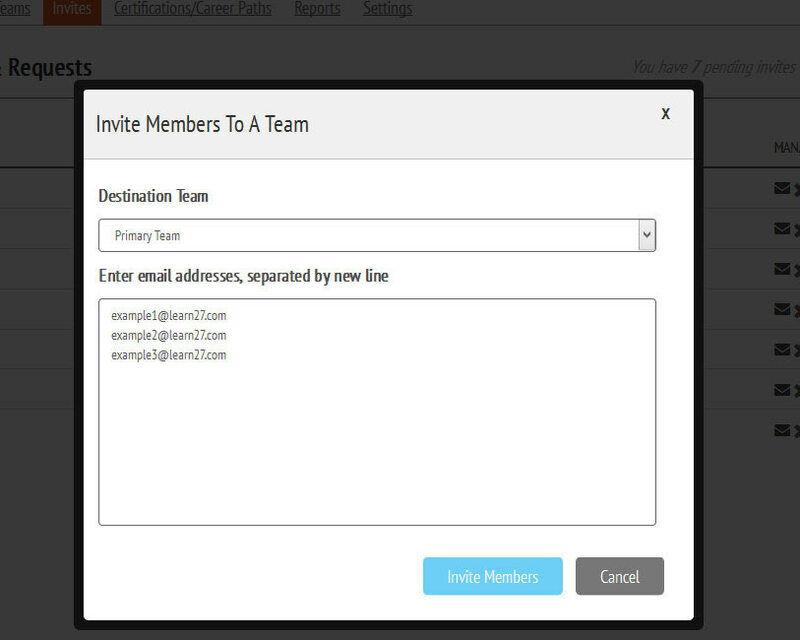 Alternatively, Team Leads can send out invites for their specific team. Once you've created a new team, you need move members to it. To do this, go to the Organize Teams tab and find the person you want to move. Click the arrow to select a new team. Training Pipelines – Soon, members of CyberSecurity Training Enterprise will have the ability to create a pipeline of content and assign it to specific users or sub-teams. The Admin and Team Leads will be able to keep track of each user's progress throughout the pipeline, and know if people are exceeding or lagging in their learning. Advanced Reporting – Want to know how many courses a member has completed? Or, do you want to know how many of your students have finished a specific course? Want to aggregate your team's test scored into one document? Soon, with CyberSecurity Training Enterprise, you'll be able to do that! Thanks for being a part of CyberSecurity Training!